Snowshoeing and cross country skiing are great pastimes that the family can enjoy during the winter. 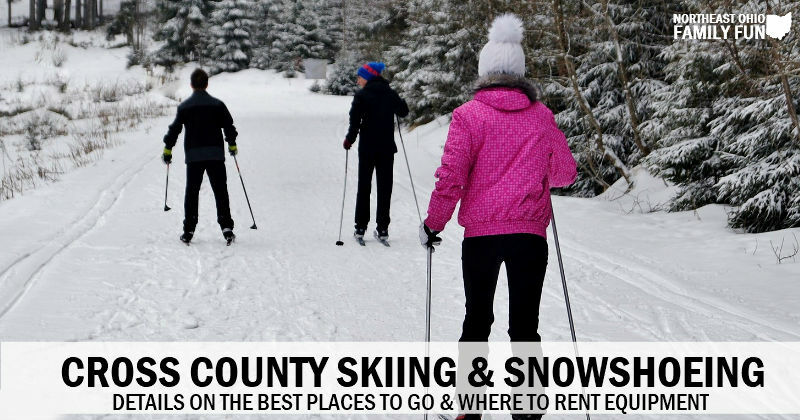 Thankfully there are many great spots across Northeast Ohio where you can rent equipment, learn how to cross country ski and enjoy the sport during the winter months. Make sure to call and check the weather conditions before heading out, there usually has to be a minimum snowfall. Know of any locations not listed? Please submit the details, and we’ll get them added. Thanks! Note: Contact information is provided. To avoid disappointment, please call or check the websites listed to confirm hours, pricing and equipment availability before planning your trip. Lake County – Six miles of groomed, wooded trails for all difficulty levels. Paid snowshoe rentals are available at Pine Lodge Ski Center which may be taken off the property. The reservation also offers lessons, children’s groups, and family events. Check their calendar on the website to register. Cuyahoga County – All bridle and hiking trails are available to snowshoers. Golf courses can also be used if there are at least four inches of snow. Snowshoe rentals are available by the hour at Big Met Golf Course. 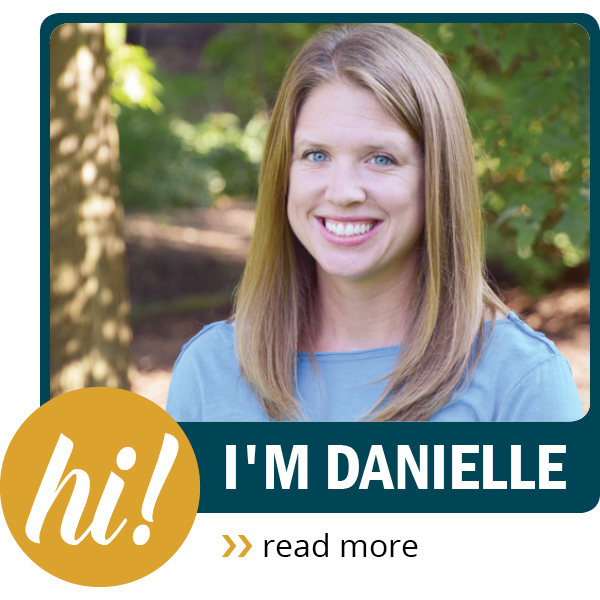 The Metropark offers hikes and events. Check their website to register. Summit County – Snowshoe rental is available at the Winter Sports Center and Boston Store Visitor Center for $5 and a driver’s license. Suggested trails with their difficulty level can be found on their website. Lake County – This park offers 3.5 miles of back country snowshoeing. The trails are marked by a sign that reads “Backcountry Snowshoe Trail” and then ribbons. This is a 2.5-mile out-and-back trail. Lake County – Learn to snowshoe classes are offered on weekends. Classes and hikes are also available. Check their website for information and registration. Summit County – Snowshoes can be borrowed at the Nature Center FREE for use within the park on the Bluebird Trail. Lorain County – Snowshoeing is permitted in the all of the parks as well as Forest Hills Golf Course and Schoepfle Garden with at least 3 inches of snow. 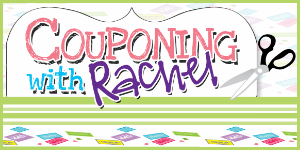 Check their program list here for classes and rentals available. Lake County – The reservation offers more than 8 miles of trails. Hourly snowshoe rentals are available and must remain on the property. Stark County – Snowshoeing is permitted on the bridle trails of the park when at least 4 inches of snow is on frozen ground. Rentals are available by the hour in the lower level of the Manor House. Stark County – Snowshoeing is permitted in all parks. Iron Horse Trail, Towpath Trail, and Nickel Plate Trail are recommended. Geauga County – The West Woods Nature Center offers FREE snowshoe borrowing for up to 2 hours. Reservations are recommended. Classes and nature walks are offered. Check here for programs and registration. Cuyahoga County – Skiing is permitted on the bridle, hiking, and unplowed all-purpose trails, as well as six of the Metropark golf courses. Ski rentals are available at Big Met golf course by the hour. Summit County – Cross country ski rental is available at the Winter Sports Center for $15 per day with a driver’s license. Suggested trails with their difficulty level can be found on their website. There must be six inches of snow to ski. Instruction is available by calling the number below. Lorain County –There are 5 miles of trails available when the ground is frozen and snow covered. You must provide your own ski equipment. Geauga County – Skiing is permitted at 17 of the parks located in the district. Classes and programs are offered on their website. Ashtabula County – There are 2 miles of trails available when the ground is frozen and snow covered. You must provide your own ski equipment. Lake County – There are 1.5 miles of trails available when the ground is frozen and snow covered. You must provide your own ski equipment. Lake County – Skiing is available at Chapin Forest Reservation and Girdled Road Reservation. Ski equipment can be rented at Pine Lodge Ski Center and may be taken off-site. Chapin Forest trails are lit at night. Mahoning County – There are 1.25 miles of trails available when the ground is frozen and snow covered. You must provide your own ski equipment. Lorain County – Skiing is permitted in the all of the parks as well as Forest Hills Golf Course and Schoepfle Garden with at least 3 inches of packed snow. Medina County – Skiing is permitted at 14 different locations within the district. You must provide your own ski equipment. Mahoning County – Skiing is permitted on 5 trails in the Metropark as well as Mill Creek and Par 3 Golf Courses. You must provide your own ski equipment. Trumbull County – There are 15 miles of trails available when the ground is frozen and snow covered. You must provide your own ski equipment. Summit County – There are 5.75 miles of trails available when the ground is frozen and snow covered. You must provide your own ski equipment. Portage County – Skiing is permitted on 5 of the trails in the district ranging from 1.9 to 7 miles long. You must provide your own ski equipment. Geauga County – There are 2 moderate level trails available when the ground is frozen and snow covered. You must provide your own ski equipment. Ashtabula County – Skiing is allowed on the 1 mile Beaver Dam Trail. You must provide your own equipment. Stark County – Snowshoeing is permitted on the bridle trails of the park when at least 4 inches of snow is on frozen ground. Rentals are available by the hour in the lower level of the Manor House. Classes are available every Saturday in January and February. Stark County – Cross country skiing is permitted in all parks. Iron Horse Trail, Towpath Trail, and Nickel Plate Trail are recommended. Summit County – Skiing is permitted in six of the Metroparks as well as the Bike and Hike Trail, the Ohio & Erie Canal Towpath Trail, and the Freedom Trail. Two inches of snow must be on the ground to ski. Portage County – There are 4 miles of easy trails available when the ground is frozen and snow covered. You must provide your own ski equipment. Portage County – There is 1 mile of trail available when the ground is frozen and snow covered. You must provide your own ski equipment. Trumbull County – This trail is 16.7 miles long and has two trailheads. You must provide your own ski equipment. 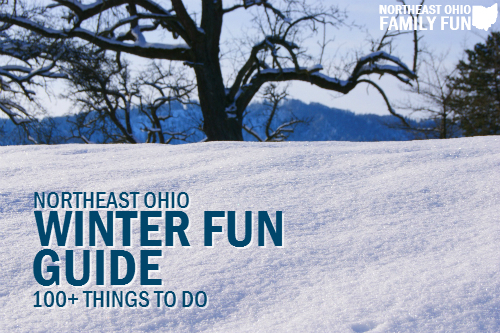 Best Sled Riding Hills in Northeast Ohio – With over 60 locations to choose from, there is sure to be a hill near you. Indoor & Outdoor Ice Rinks – Northeast Ohio is home to a handful of seasonal outdoor rinks. Admission is typically inexpensive (and sometimes FREE) and there is a small fee to rent ice skates (assuming you don’t have a pair of your own). Northeast Ohio Ski Resorts – Ready to hit the slopes? Whether for skiing, snowboarding or tubing Northeast Ohio has a number of ski resorts to meet your needs. All have trails ranging from beginner to expert and offer classes for various skill levels.